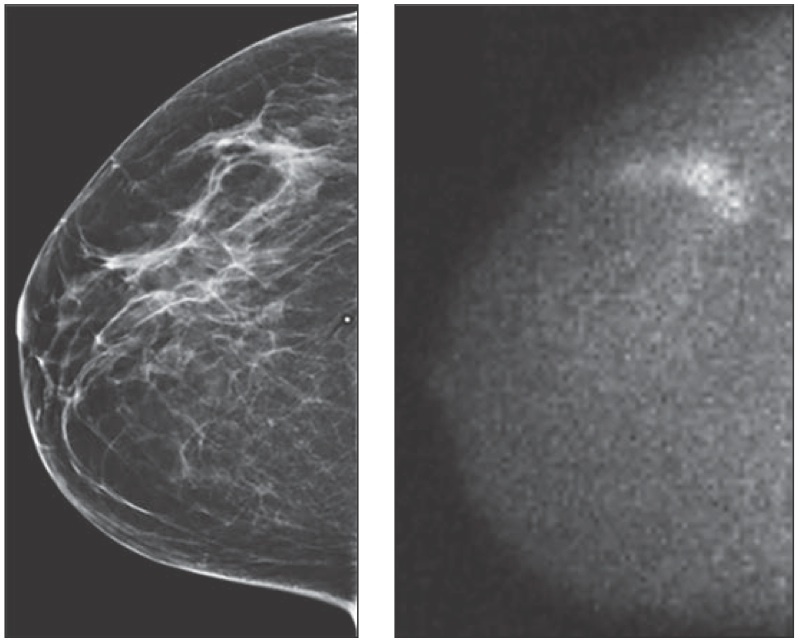 The February edition of the American Journal of Roentgenology was published earlier this week and there was a special focus on women’s imaging, in particular the issue of breast density and breast cancer risk. There were eight articles, including an editorial by Marcia Javitt of Haifa in Israel, as well as four reviews – on breast ultrasound, gamma imaging, breast density legislation, and magnetic resonance imaging – plus a clinical perspective on digital breast tomosynthesis, and an opinion piece on structured reporting for supplemental breast cancer screening. There was also an original research article on molecular breast imaging (MBI) used for supplementary screening in mammographically-dense breasts. A group from the Mayo Clinic in Rochester, Minnesota, led by the physician Deborah Rhodes, has been trying for some years to encourage the use of MBI as a vital supplement to full-field digital mammography (FFDM). One of the main drawbacks of MBI is that it requires the intravenous injection of a contrast agent – the authors used Tc-99m sestamimbi – and this can add a radiation dose that is 10 to 20 times that of mammography. Rhodes’s team reduced the contrast agent dose by more than 50% and enrolled 1,585 women with either ‘dense’ or ‘very dense’ breasts in their study. The researchers compared the sensitivity, specificity and recall rates for FFDM alone and FFDM + MBI and found that the addition of MBI increased the overall cancer detection rate from 3.2 to 12 per 1,000 women screened. This compares favourably with rates from supplemental screening using ultrasound and tomosynthesis. The recall rate increased from 11% to 18% although Rhodes was not too concerned, arguing that the purpose of supplemental imaging was to increase cancer detection and not necessarily to reduce the recall rate. Note the tumour seen in MBI (above right) but not in FFDM (above left). Among the important issues not addressed by Rhodes and her colleagues were the cost implications – both the MBI equipment and the contrast agent are expensive, with the latter applying to every patient screened. 1. Never take the combination ultrasound and FFDM as comparison. 2. Never show the contralateral image in combination with the corresponding MLO’s. 3. Never show the prior. 4. Do not care when your most imaginative example is non dense.